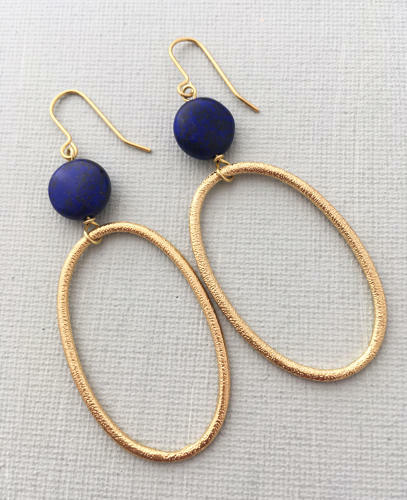 Glamorous etched gold plated loops with navy howlite stones. Length 6cms. Hypoallgergenic and nickel free.